I found this dress at Old Navy a couple weeks ago and am so glad I bought it. It was the perfect dress to wear to brunch while I was up in Ohio visiting Katey and her family a week ago. It is just an easy, breezy type of dress. It's lightweight, perfect for the hot summer days headed our way. It can pair well with wedges, flip-flops or even my favorite converse. The dress itself has a simple stripe pattern that I love because it is a great base for any jewelry, purse or shoe combo. I love the print and drop waist of this dress. This straw tote is gorgeous and a great price! I think this top is adorable. These linen shorts come in 8 different colors/patterns and are on sale! 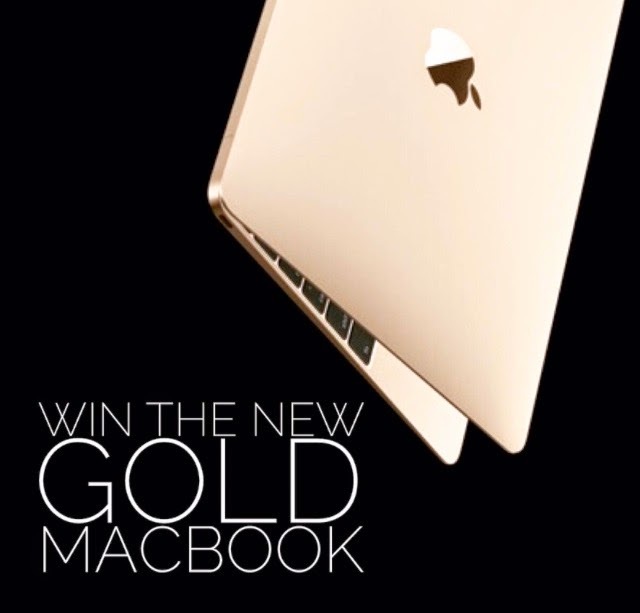 We teamed up with some fabulous bloggers to give away the new gold Macbook. Have you entered yet? Click here to enter. The giveaway ends tonight at midnight. Thanks so much Katy! This has quickly become a favorite dress of mine. All the bright colors made me fall in love with this clutch!